Our purpose built 15,000 sq. ft. factory in Mountbellew enables us to both manufacture our product range efficiently, and to assist in the ongoing support of our clients. We have installed a 10T gantry crane, and each operative has their own 2T radial arm crane to enable safe and easy handling of the heaviest parts. The factory floor is divided into workstations where machines are built and commissioned individually. 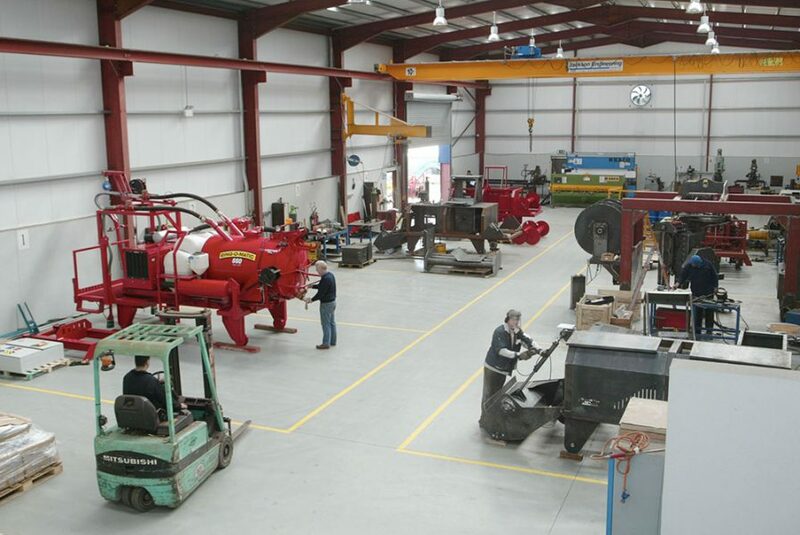 Metal preparation and finishing are carried out in their own respective areas. We use a CAD/CAM manufacturing process for the profiling and forming of metal parts, while CNC machining centres are used to prepare turned and milled components. Our machine builders are given full support through our state of the art design engineering department, where all drawings are prepared in 3D using SolidWorks. This modelling enables us to simulate the operation and functionality of our designs. Using state of the art “Cosmos” Stress analysis software, we can test the strength and rigidity of our designs before they leave the office. Full specifications of each machine are prepared and recorded for the customer file and shop floor at this point. The parts department is fully stocked to ensure a ready supply to the factory floor. 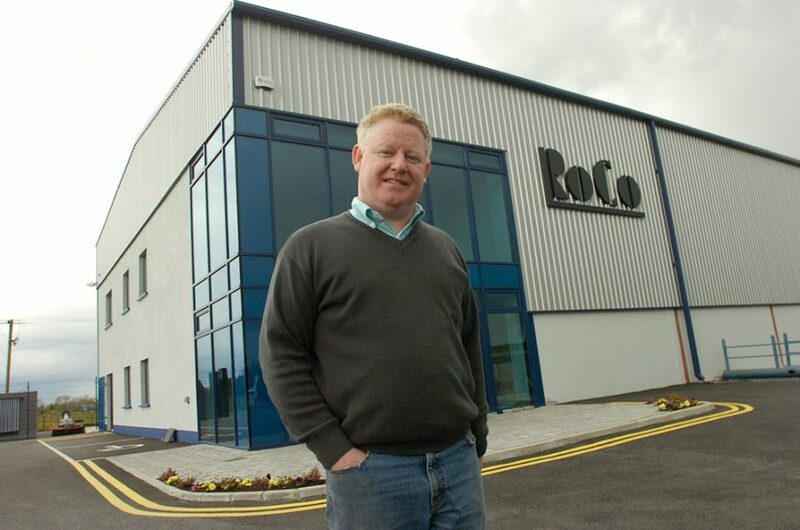 At RoCo we know that lost production is a key concern for precast concrete producers. Our after sales service is also driven from this department, enabling us to have spare parts dispatched on the same day to reduce machine downtime. If you would like more information on any of our concrete machinery, please get in touch today. Chances are, one of our existing machines will meet your requirements. If not, we have an excellent track record in delivering innovative and bespoke machinery to concrete producers around the world. We’ll design the perfect solution for you! Roche Manufacturing specialises in the design and manufacture of production solutions for the precast concrete industry, and has been supplying customers around the world for the past 30 years. Founded in 1988, Roche manufacturing is located in Galway, Ireland. The company’s focus is on providing customised systems and machinery that delivers cost savings, improved health & safety, and a better standard of finished product to precast and wet cast concrete producers. Copyright ROCHE MANUFACTURING LTD 2018.